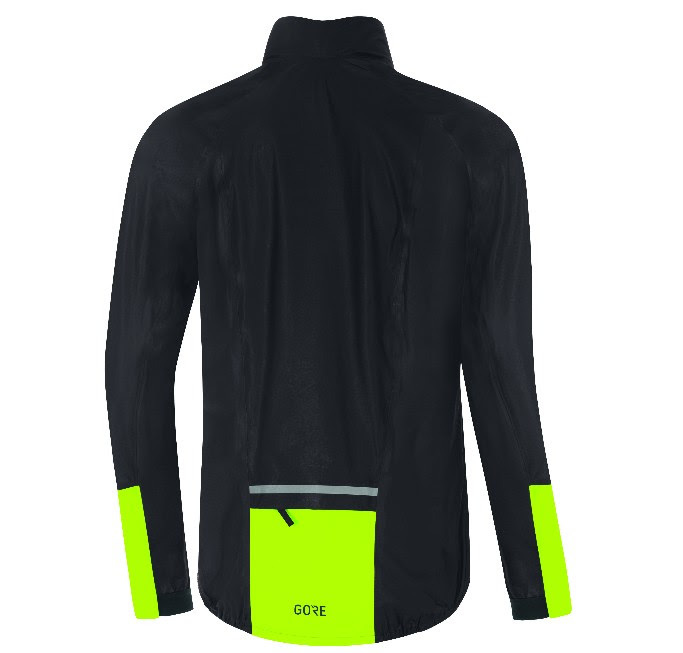 GORE continues to innovate performance apparel by adding colors—blue and gray with high-vis—to their SHAKEDRY jacket. That’s GORE’s highly breathable and completely waterproof shell, the one with a permanent beading surface. I’ve been riding with a SHAKEDRY in the wet since the launch and it performs like GORE says it does. Not announced but released with the 1985 version last year is “rec” sizing and sizes for women. The color release this year includes high-viz panels on the cuff and back panel. As much as I like the SHAKEDRY category of jackets, all black is rather dreary under grey skies. GORE’s naming conventions can get super confusing and it’s easiest to just shop and find what you want per the larger category. Here’s the link and the SHAKEDRY’s start at $279. Women’s are here. Instead of working with a textile surface, which is conventional with raincoats, SHAKEDRY™ jackets have the GORE-TEX® membrane on the outside. That removes extra weight and it never needs re-treatment with a product like Nikwax. No outer layer means the jacket feels like a latex glove and without fleece inside, it retains no heat. So keep that in mind for your longer rides. It’s also fragile and easily damaged by a backpack. The SHAKEDRY is not meant for commuting with a pack. You’ll want another jacket, probably from Gore like this one, for that. I ride in mine with a thin merino liner in 40-50 degree weather. Not yet on the market, but mentioned in the release is a stretchy version for a more comfortable, less restrictive fit. The stretch laminate is both sides, on the hem and in the shoulder area. And, the expected result is a high-tech racing bike jacket with a close-fitting cut that guarantees the best fit and maximum freedom of movement; also, room for a beer belly. The stretch inserts are made from a low-force stretch material, which yields with even the slightest resistance. So it’s kinda like, you’re wearing stretchy pants as a jacket.